The school is being taken over by the maths bug!! Nominate one of your subject teachers for using maths in your lesson. 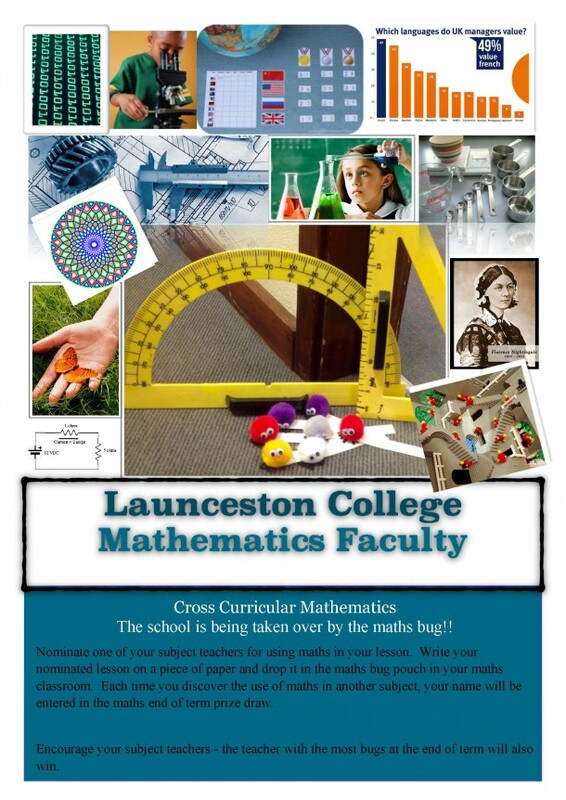 Write your nominated lesson on a piece of paper and drop it in the maths bug pouch in your maths classroom. Each time you discover the use of maths in another subject, your name will be entered in the maths end of term prize draw. Encourage your subject teachers – the teacher with the most bugs at the end of term will also win.